Pensacola is a little unusual as gay travel destinations go. In late May, the city is the site of Pensacola Gay Memorial Day Weekend Celebration which draws huge crowds of gay revelers from Atlanta, New Orleans, and other major southeast destinations. The rest of the year, however, this relatively conservative small city in the Florida panhandle has a small and quiet, even discreet, gay community. The region's warm climate and beaches attract retirees and the military has a relatively small, though very significant, presence in Pensacola. Those in the gay community in Pensacola have become far more visible in recent years, in part because Memorial Day weekend has shown the value of LGBTQ tourism dollars. One example of this increased visibility is that there's now a Pensacola Gay Pride held each June, organized by the local LGBTQ organization, ​Gay Grassroots Northwest Florida. Pensacola is just an hour southeast of Mobile, Alabama, which also has several fun gay bars and clubs in its downtown historic district. Many Pensacola restaurants, events, and bars are gay-friendly and are yet another reason for visiting this Florida panhandle community. Pensacola Gallery Night is an ideal time to head for downtown Pensacola. Galleries, boutiques, restaurants, and bars open their doors to the night air as visitors and locals flood the streets to enjoy music, art, and cuisine. 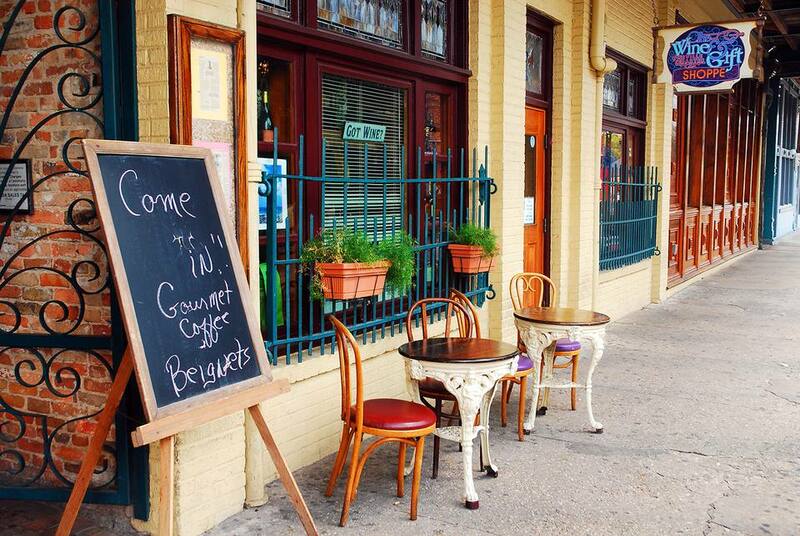 You'll find café tables set out on the brick sidewalks where you can enjoy a coffee or cocktail and listen to live music. After the event ends, usually around 9 p.m., you'll find that many restaurants and bars stay open longer to attract the later-evening crowds. Just steps from downtown's beautiful Seville Square and adjacent to the historic Saenger Theatre, The Cabaret (101 S. Jefferson St.) is sophisticated but welcoming, a cheerful spot for gay men, lesbians, and friends to congregate during daily happy hours (3 until 8 p.m.), during the Friday gallery nights, before or after a show at the Saenger, or during the popular karaoke events on Monday and Thursday evenings. On any given evening, the big draw here is first-rate jazz and piano, with some of the most talented songstresses in the region. The Cabaret has an impressive beer list and outstanding cocktails. The trendy, retro-cool Leisure Club Coffee Bar & Restaurant (1151 Office Woods Dr.) is a great bet for artisan-roasted espresso drinks (made with superb Intelligentsia Coffee), fantastic ice cream (the bourbon-burnt sugar flavor earns plenty of raves), and terrific, creative food three meals a day; plus, there are well-chosen wine and beer lists. End of the Line Cafe (610 E. Wright St.), is another gay-friendly option for great coffee and healthful veggie fare. It's located in the Old East Hill neighborhood next door to downtown Pensacola. They are known for their Sunday brunch. In keeping with their commitment to local, sustainable, vegan foods, they offer a vegan cooking class. And for a romantic evening or dinner with a few friends, hip Global Grill (27 S. Palafox Pl.) fits the bill, with its beautifully presented, Southern-inspired fare, including tapas and more substantial plates. It's a classy restaurant filled with local art with chef-directed local seafood dishes. Enjoy their hot and cold tapas bar. Seafood abounds so try something like their yellowfin tuna, seared with coriander and fennel, served with creamed corn and barley, sweet potato hay, and sauteed corn and beans in lemon butter. There are also a few ostensibly straight but gay-friendly restaurants and bars in Pensacola, mostly around the historic area near Seville Square. With a vibe that somewhat resembles the New Orleans French Quarter, the rollicking Seville Quarter (130 E. Government Street) is a sprawling complex of bars and dining areas. It's touristy but fun in a Bourbon Street sort-of-way. The Palace Cafe, in the Seville Quarter, serves tasty bar food, including baked oysters, pizzas, and po'boys. You can even satisfy your sweet tooth with a plate of hot beignets. The bar and back bar date between 1810 and 1820 and are originals from the Palace Hotel which is said to have had the first liquor license in the state of Florida.